This CTA examples marketing article provides an extensive list of call to action examples that Pinterest marketers and bloggers can use to improve their conversion rates and engagement. If you want to use CTAs in your Pinterest descriptions but don’t know where to start or how to make them, these examples can help you! A call to action (often abbreviated as CTA) is simply an instruction or direction you give to get the reader to do something. If your goal is to get page views, you might entice your readers to click through to your profile or site. If your goal is to get sign-ups to your email marketing list, your call to action will involve getting them to provide their email address. Other calls-to-action include convincing readers to request an ebook, download an app to make money, click an affiliate link, share a comment, or like a photo. On Pinterest, the description box on your pins is a critical place to include a Pinterest call to action. By doing so, you increase the chance that people will share or click on your images, driving more traffic to your site and profile. Engagement via repins, comments, and likes increases significantly when you use a call to action. Before you post your pin to Pinterest – ideally when you’re crafting your blog post – consider the ultimate goal of the information you’re presenting. Should it drive email signups to your blog? Are you mainly looking for pins and likes? Keep that goal in mind as you write the post. You might have one call to action example in the pin – “Click here to get a free list of …”. Then when they click through to your blog post, you might provide a call to action that tells readers to download your free email series about how to start a blog. The more you can reference the results the reader will get after taking your call to action, the more powerful it will be. Keep in mind that the emotions your reader feels and whether your content will solve their problems are what is important – not your product, affiliate link, or Pinterest image. CTA Tip: If possible, reinforce the call to action with the image you select in your pin. If you want readers to click, show a finger on a mouse as part of your image. If you’re using an urgent message as part of your call to action, a countdown timer or clock strengthens your verbal CTA. If you’ve ever struggled to create a powerful call to action on your Pinterest pins, look no further. I’ve created a helpful cheat sheet of CTAs you can steal and modify to use on your own pin descriptions. CTA Tip: It’s helpful to use “you” in your descriptions to personalize the call to action for the reader. Successful Pinterest marketers guide their readers through their copy and sales funnel by using CTAs strategically. Without CTAs, you’d be unlikely to try new activities, apps, or services. You might read a unique Pin or post and think it’s interesting, but without the impetus to save the post, it’s likely you’d quickly forget to file the pin for later use or sign up for further information that could help you with your goals. Ultimately, persuasive CTAs help readers move closer to their own goals. 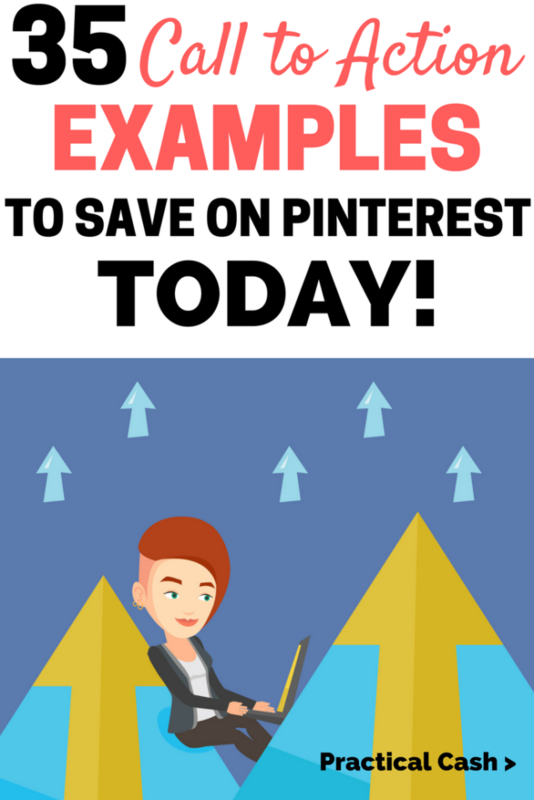 Here are some call to action examples you can use to persuade readers on Pinterest to take a definitive action. Quick! Read this now to get this before it expires! What happened there? Did your heart speed up a little at the language that you were about to miss something? Creating a sense of scarcity and urgency suggests to readers that what they need won’t be available to them forever. Doing so entices them to take the action quickly and decisively. Here are some call to action examples you can use in your Pinterest descriptions to get readers to act. Have you ever been told you can’t have something? Didn’t it just make you want the thing more? Implying inclusion or exclusiveness in your CTA can make your Pinterest readers feel like they’re part of a special group and can make them more likely to sign up or try your service. Here are a few call to action examples to help you create a sense of exclusiveness in your Pinterest descriptions. 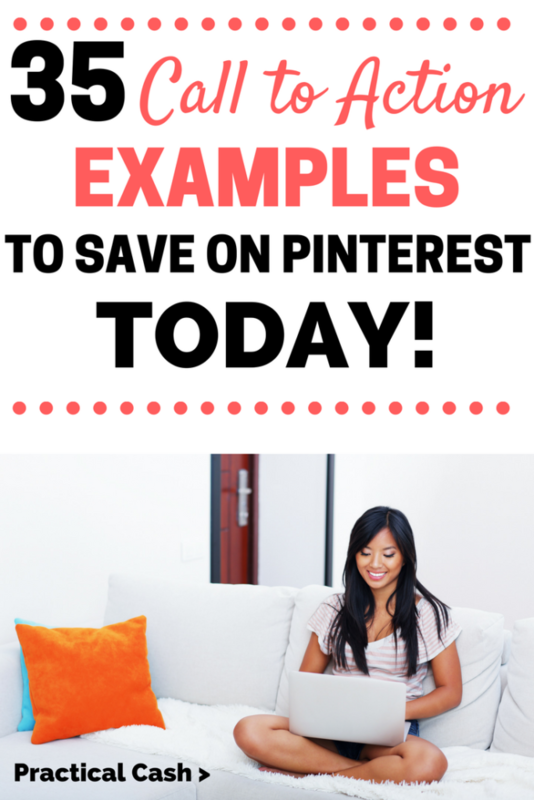 Do you have a favorite call to action for Pinterest descriptions? How did using CTAs on Pinterest affect your engagement rates? Leave a comment below!